As we head into the fall and the cooler temperatures settle in, the NH Grand Prix takes a dive into some longer distance road racing. The next race in the series is the Granite State 10 Mile in Concord, NH on October 9th. For those who haven’t ran it before, the course is challenging, but a PR is very doable given conditions are typically good for racing in the fall months and the last few miles of this one are running down the hills you ran up earlier in the race. The Boys and Girls Club of Central NH is the title sponsor this year and they have provided us with a course preview video. Check it out below, study the course, and show up on race day ready to deliver your best performance! If you haven’t yet registered, you may do so here. 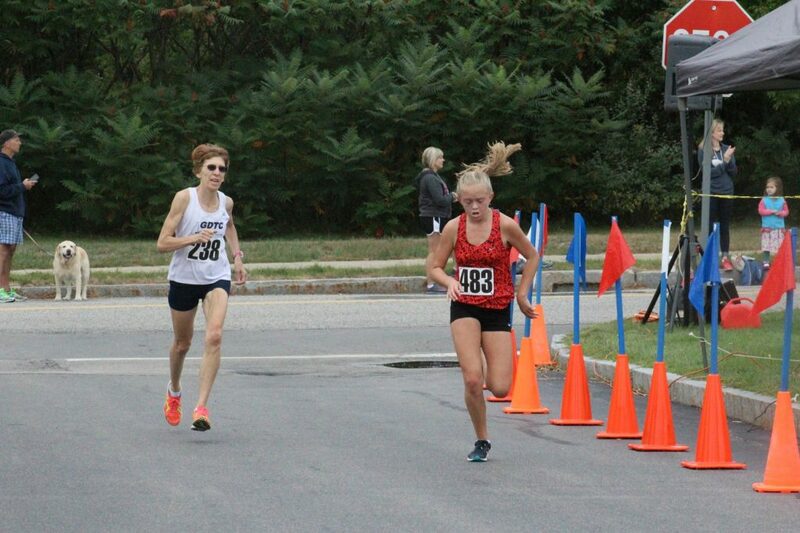 The Greater Derry Track Club officially ended Upper Valley’s eight race NH Grand Prix team winning streak with the highest points total at Monday’s St. Charles 5k. Their score of 179 points was good enough to top UVRC’s score by 18 points and 106 points over distant 3rd place Gate City. Individually, UNH Alumni Kevin Greene (Flynn Running) and Keely Maguire (Millennium Running) were the overall champions in 15’07 and 17’37 respectively. See our Schedule & Results page for full updates on the series.